Last week the cards said that we had had it too good, and that judgement would bring ruin, then sure enough the price of Bitcoin dropped around 10% over the week. 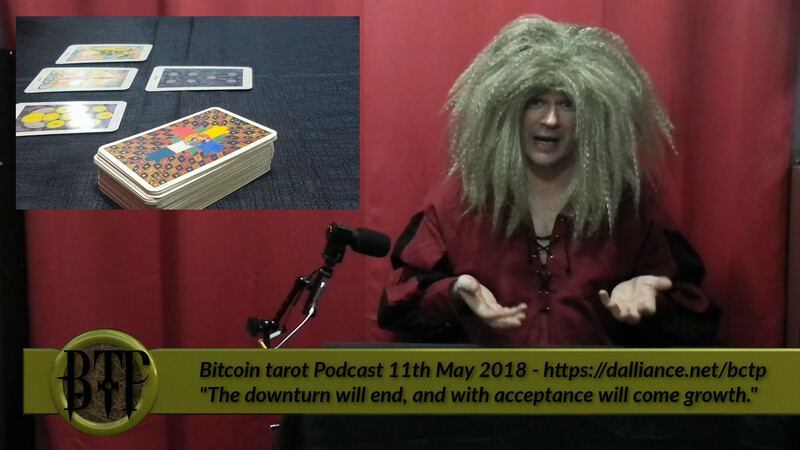 This week, Cosmic Conroy reads the cards and finds that the downturn will end, and with acceptance will come growth. Synopsis: The downturn will end, and with acceptance will come growth.